A month ago, I shared a photo on my Instagram, my retro find at Katong Square Lifestyle & Vintage Market. I asked my followers/readers to make a guess which whisky flask bottle did I purchase? Today I am going to reveal the answer! 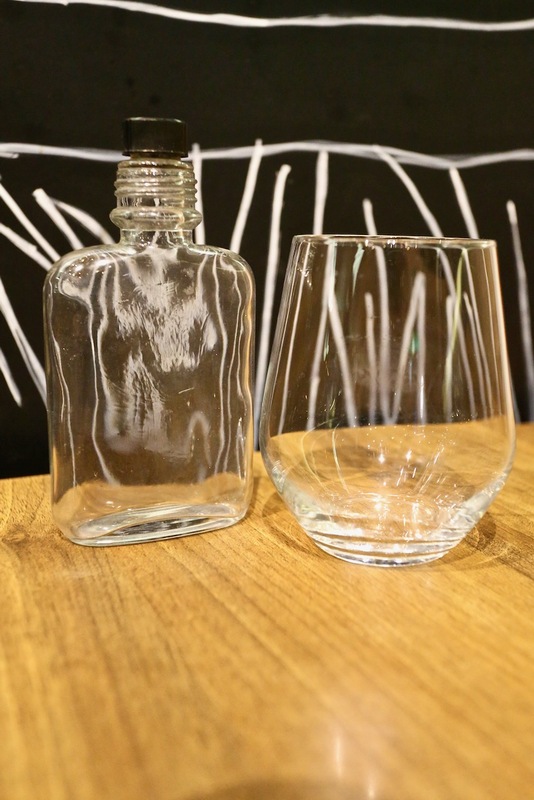 My choice is this glass hip flask in leather case! Being a heritage, vintage and retro enthusiast/supporter myself, I always love flea markets and the regular retro flea market that I always visit is the Katong Square Lifestyle & Vintage Market by Vintage Flea Market by the Retro Factory! If you love arts, craft and lifestyle products, you can discover some of them there too! The markets at Katong Square are held every second weekend of the month, the October 2018 edition is taking place from Friday 12th October to Sunday 14th October, 2pm – 10pm (Friday) and 1pm – 10pm (Saturday and Sunday). 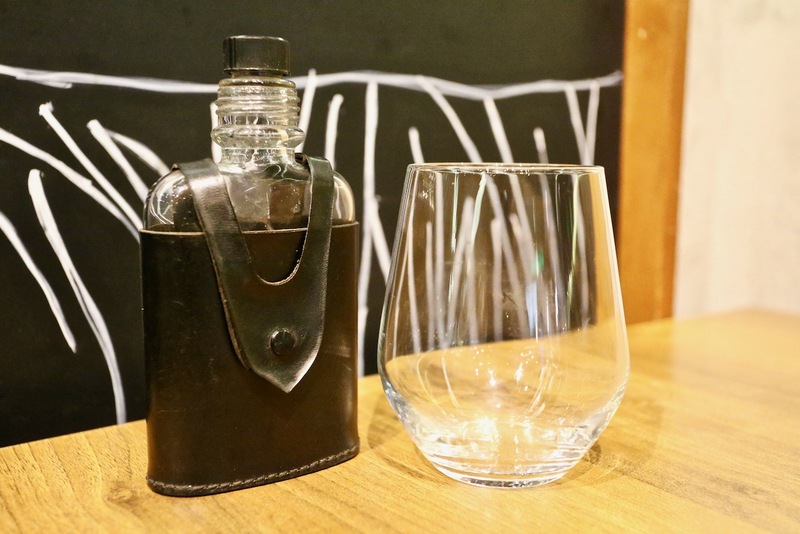 What’s the story behind this retro glass hip flask in leather case? I had been covering and supporting Katong Square Lifestyle & Vintage Market for a period of time, visiting this market always bring me new surprises because there are something new for me to “dig out and discover” whenever I am there! From my previous posts on my photoblog and Instagram, I have been building up an interest in whisky and food photography pairing themes. 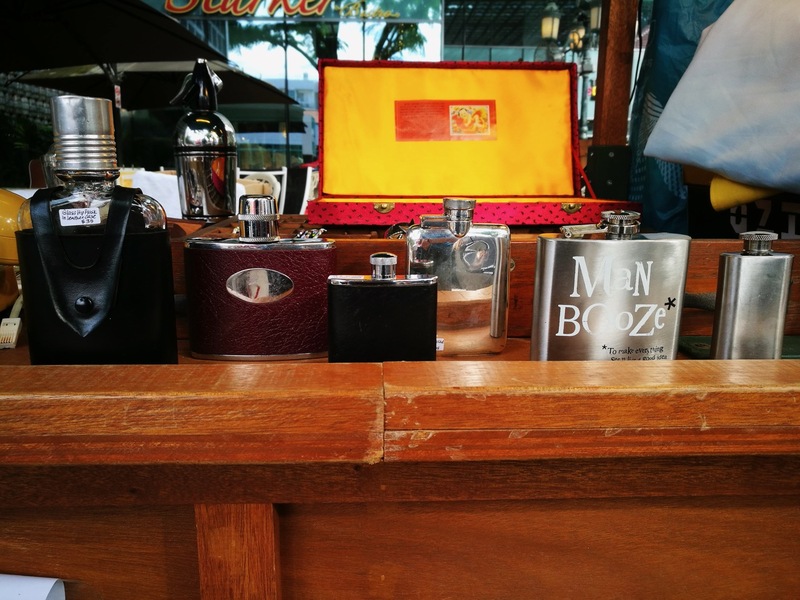 When I found out that the Vintage Flea Market brought in different types of whisky flasks, I was excited and it took me around 2 editions (2 months) looking at them as well as waiting for new “stock” to arrive for the market! In the September 2018 edition, I finally found my whisky flask! They would be playing a part in my whisky and food pairing and whisky with a view photography shoots! This is just one stories of my retro find at Katong Square Lifestyle & Flea Market, I am still “hunting” for more retro items that would suit my food pairing and photography setup! If you are a heritage, vintage and retro enthusiast/supporter like myself, do drop by and visit Katong Square Lifestyle & Flea Market! You never know what you can find there!